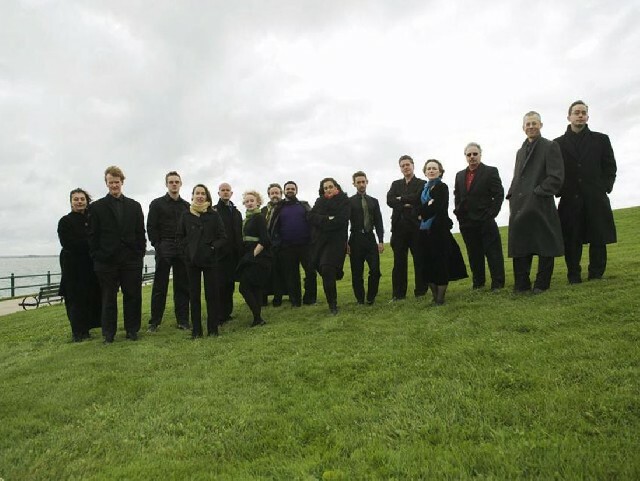 From coast to coast, the 12-member vocal ensemble Blue Heron delighted audiences with a plush concert of early music. On the heel of their Berkeley, California Thursday night’s performance, we listened to them on Saturday evening at the First Church Congregational in Cambridge, MA before they repeated the same concert the following day Sunday in New York City. Song of Song / Songs of love in sixteen century Spain was written in the third century BCE and was admitted in the canon of Hebrew Scripture towards the end of the first century CE. The program explored music from the School of Andalusia sixteen-century Spanish composers. Two amongst them are considered the greatest musicians of the century Francesco Guerrero, Tomás Luis de Victoria and Sebastian de Vivanco is an important contender. The homophonic and polyphonic work of Nicolas Gombert, Juan Vásquez and couple of anonymous songs completed the selection. The concert was divided between backdrops of the King Solomon biblical Song of Songs sung in Latin and secular love songs declaimed in Spanish. Skillfully arranged, it started with short pieces for three, four or five voices to conclude with a crescendo of eight and the entire twelve voices members favored particularly by composer Nicolas Gombert. el Diablo que aya en tip arte!